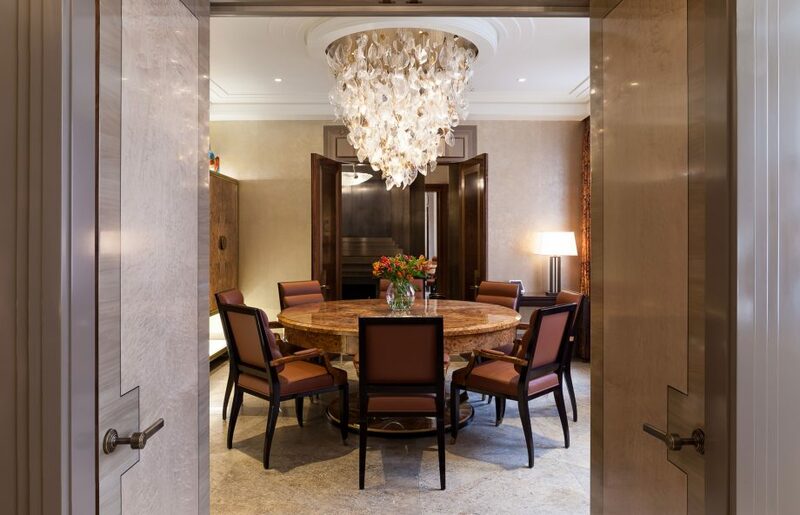 Brian Wade, TFA Ltd, commissioned us to make a set of twelve custom dining chairs for a prestigious private residence in Knightsbridge, London. 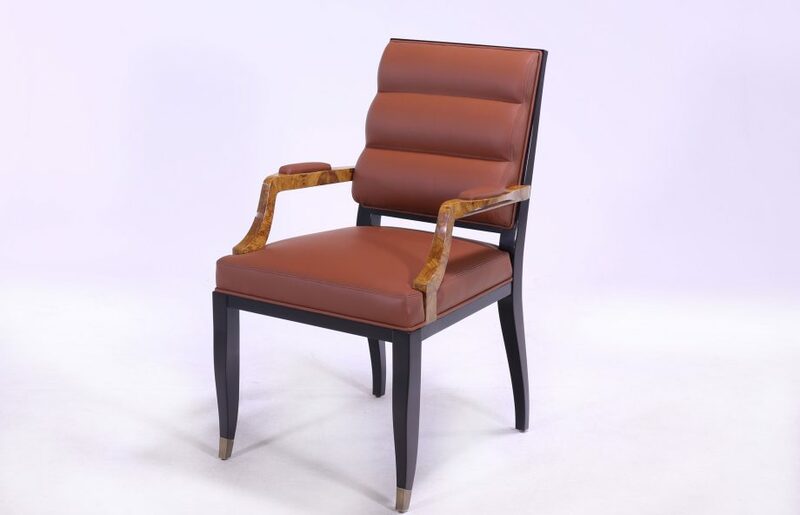 The design was inspired by our Aubusson Dining chair from the Lucien Rollin collection and we were asked to incorporate recessed arm pads on each of the arms and to use the client’s uniquely sourced wild olive veneer which came from a 400 year old tree from the grounds of Versailles. We were delighted with the finished design, including the arm pads, veneer, bronze sabots, and leather supplied from one of our collections. The end result is a unique, luxurious dining chair and the client is extremely happy with the aesthetic and comfort of the chairs.